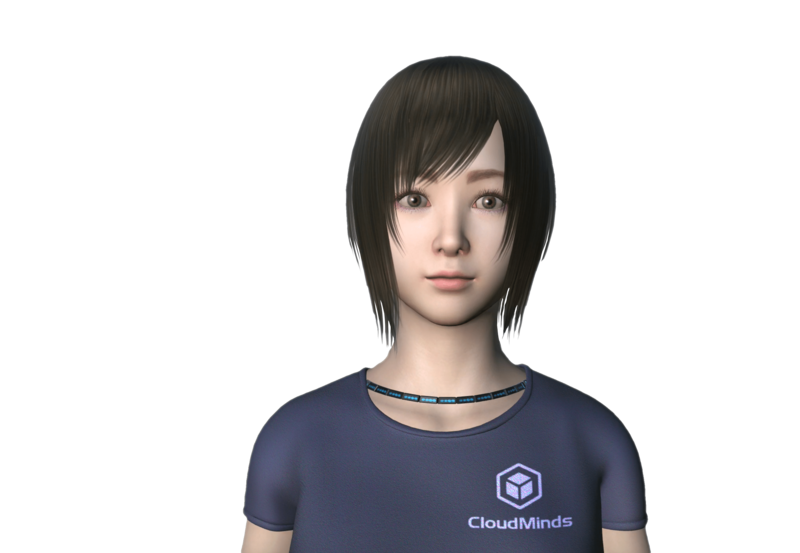 Cloudia, CloudMinds’ Intelligent Digital Avatar, provides Conversational AI in virtual form- connecting on an emotional level-becoming the face of your brand to customers. Cloudia revolutionizes how customers shop, search, and transact with your business. She has no physical body – she can be in many places simultaneously, on any phase of the customer journey. She is designed to live on a digital display in many locations- on a shelf, a kiosk or a video wall. Cloudia’s advanced speech recognition, natural language processing, and contextual understanding improve its conversational ability over time. She can also be customized to fully become the face of your brand. Cloudia supports voice recognition, intent classification, and contextual understanding to improve conversational ability over time. Cloudia can be used in your lobby or your store. She can attend welcome receptions, make product recommendations and provide introductions anywhere. Cloudia can serve as a concierge for retail, suggesting products and services based on customer profiles and inquiries they make. Cloudia can operate in student unions and other central locations on campus and access to campus services. Cloudia can be your intelligent healthcare digital assistant at home, helping patients with chronic conditions such as congestive heart failure and diabetes.